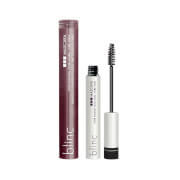 blinc lash primer was developed with two objectives in mind, lash/eyebrow treatment and eyelash enhancement. 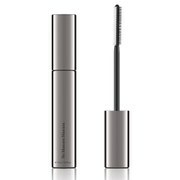 Whether your lashes are tiny and require a larger base to work with, in need of conditioning or you are simply looking for incredible volume and length, blinc lash primer delivers. Developed by blinc to complement blinc mascara, it provides a greater base of volume and length for your lashes, prior to applying your mascara. Vitamin E helps to nourish and replenish lashes. Formula is dye and fragrance free. 1. Apply one or two coats prior to going to bed or before wearing mascara. 2. Remove with warm water and slight pressure (i.e. with a washcloth or by taking a shower) upon waking up or when you remove your mascara. 1. Before mascara is applied, apply a coat of Blinc Lash Primer and let it set for 30 seconds. 2. Apply another coat and let it set for another 30 seconds. 3. Repeat process until desired lash volume, length and separation is achieved, always letting it set 30 seconds in between coats. 4. You may now apply your mascara. 5. Remove the same way you remove your mascara (note: when using Blinc Lash Primer with Kiss Me mascara, upon removal of the Kiss Me "tubes", Blinc Lash Primer will also slide off your lashes with no additional effort). Water (Aqua), Oryza Sativa (Rice) Bran Wax, Copernicia Cerifera (Carnauba) Wax, Beeswax, Stearic Acid, Euphorbia Cerifera (Candelilla) Wax, Triethanolamine, PEG-12 Dimethicone, Nylon-12, 1, 2-Hexanediol, Caprylyl Glycol, Hydroxyethylcellulose, Tocopheryl Acetate, Panthenol, Methylisothiazolinone, Tropolone, Phyllanthus Emblica Fruit Extract, Methylsilanol Mannuronate, Hydrolyzed Soy Protein, Butylene Glycol, Secale Cereale (Rye) Seed Extract, Camellia Sinensis Leaf Extract, Alcohol, Pyrus Communis (Pear) Fruit Extract, Yeast Extract, Yeast Polysaccharides, Xanthan Gum, Hibiscus Sabdariffa Flower Extract, Ferula Assa Foetida Root Extract, Lecithin, Dextrin, Hydrolyzed Hibiscus Esculentus Extract, Ubiquinone. I love Blinc mascara, so to add the primer was a natural. The primer gave my lashes a real pop. I love the fact that I can do my eyes in the morning and I never have to retouch as the day goes by. My eyes look terrific all day long. Just follow their directions for removal. Just use water and a little pressure, works best in the shower. Enjoy! Whilst the primer had a good consistency and was functional under my usual mascara, the brush tip broke off the wand after a few weeks of use! I have never experienced this before with any wand and believe it was poorly constructed. I did my homework regarding lash primers, given the fact that as we age, lashes start to look thinner and scarce. 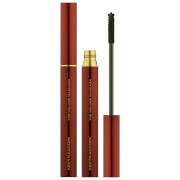 I had used the Lancome cils booster and I loved it, but it is pricey. When I saw the rave reviews about the Blinc lash primer, I decided to give it a try. Results? I am 47 and people have asked me if I am wearing false lashes. I use this primer with any mascara and the results are good. I do combine it now with MUFE mascara, which is my HG, and it complements each other fantastically. Needless to say, Blinc is the primer for me. I love this stuff! It literally can make your eyelashes as long as you want if you keep applying coats. It almost looks creepy if you apply 5 or so coats. The only thing is that I haven't tried any other primers to compare it to... so I can't say for 100 % that this is the best one... but it sure is a good one! My lashes are short and thin. This primer really helps add thickness and lenght to your lashes. Highly reccomended. This truly works! It doesn't irritate my eyes, it lengthens my lashes when I apply my mascara over it. I love it! I will continue to purchase this product... It is wonderful.